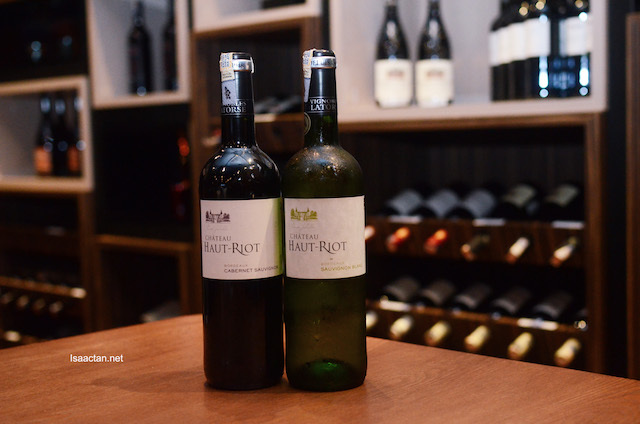 Entering the establishment, the decor is certainly impressive, with dim lighting, complete with bottles and racks of wine for your choosing. 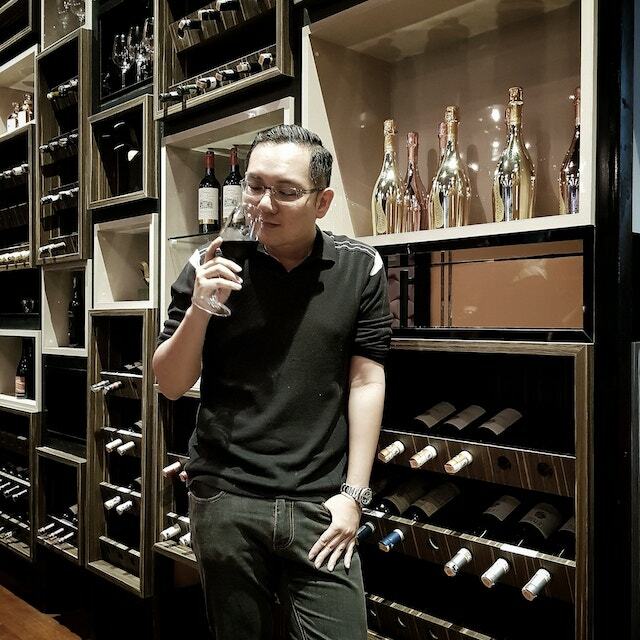 For those who appreciate good wine, cocktails and various alcohols, this is the place for you guys! 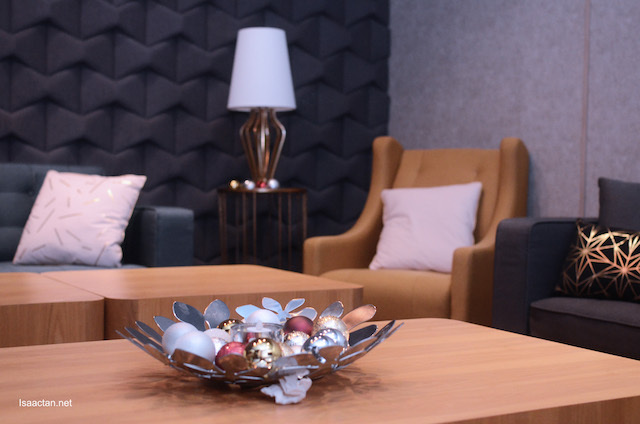 In fact, MANDALA even has a super cool VIP room at the back, perfect for those private functions to chill with friends and acquaintances. 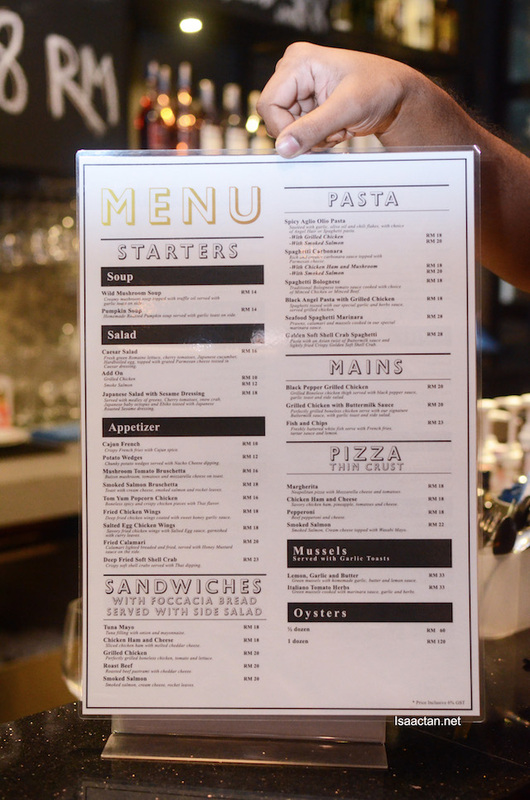 The menu is definitely extensive, from western dishes to fusion, international and local cuisine. 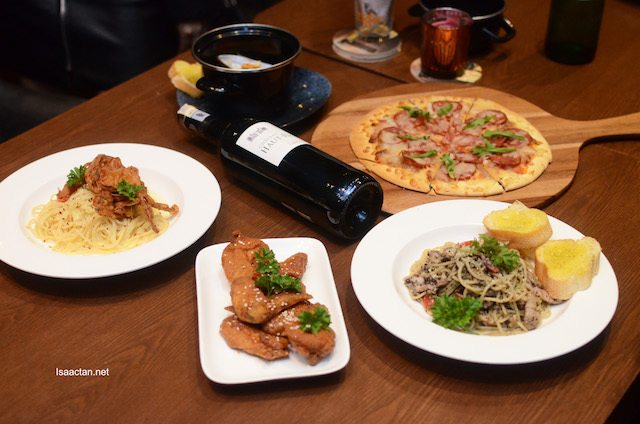 We tried a bit of everything, from grilled chicken, black angel pasta, mussels and more. It was a bit much that night, but hey, we live to eat, or was it eat to live? Same thing I guess. 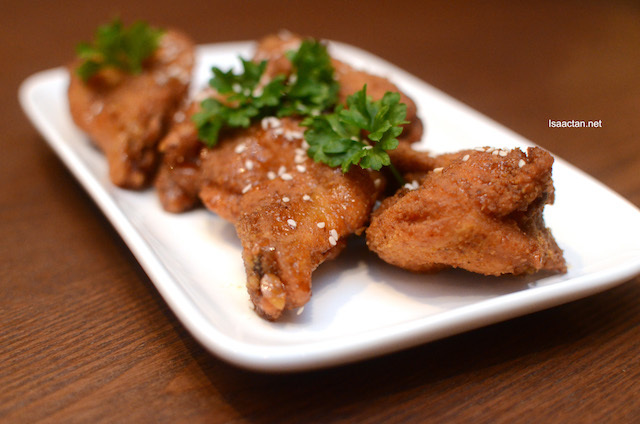 We kicked off our meal at MANDALA Cafe & Bar with some delectable starters in the form of the fried chicken wings. Simple, yet delicious, each piece was fried to golden perfection with a sweet honey garlic sauce coating on it. Chicken wings and drummers, yes please! 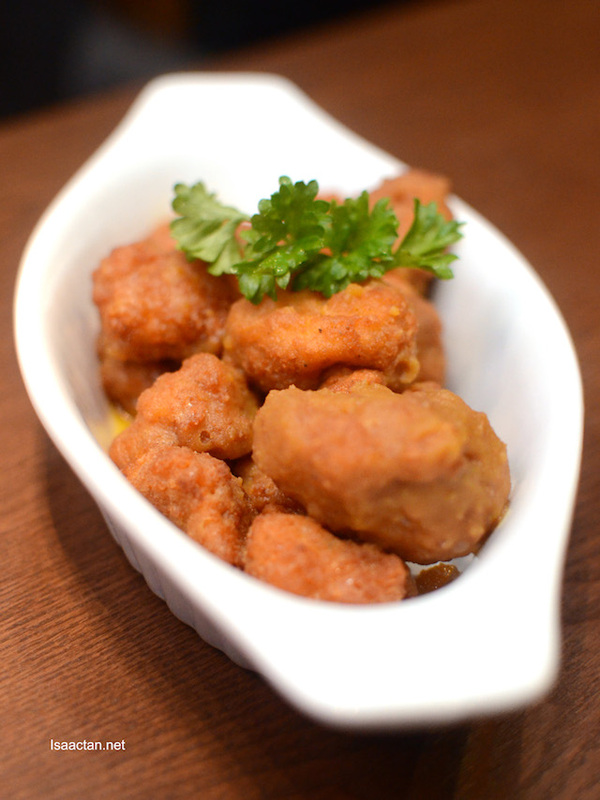 Interestingly, the next starter dish, the Tomyam Popcorn Chicken wasn’t as I expected. 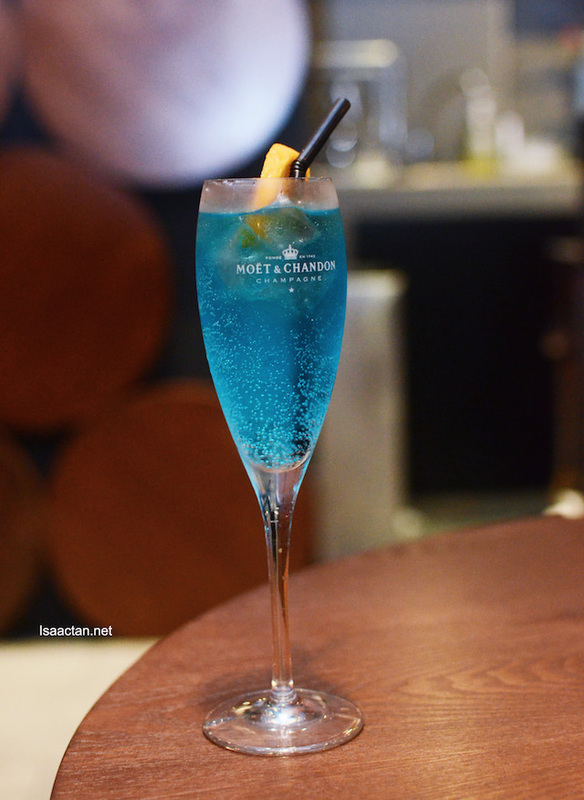 I initially thought the flavours would be better, but it came out rather low key. It’s pretty okay though. 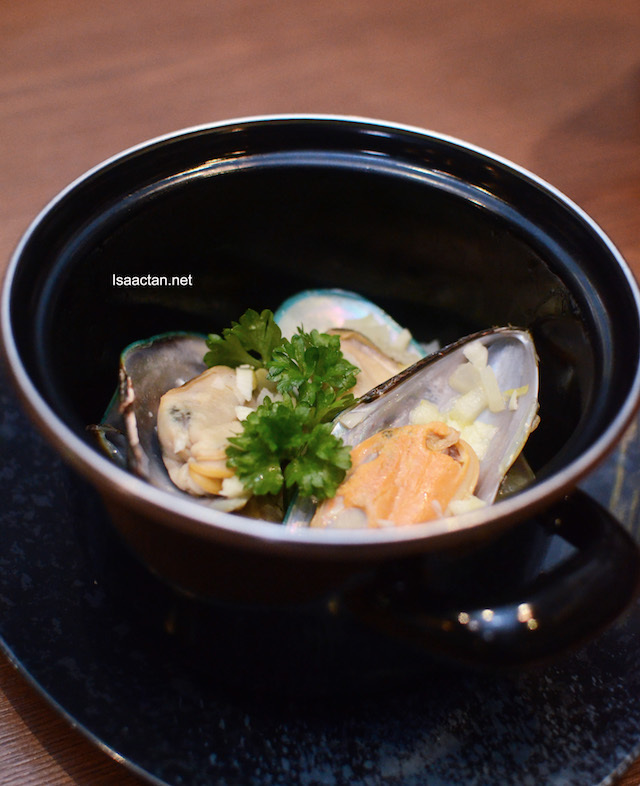 For those who love their mussels would do good to order MANDALA’s Lemon, Garlic and Butter Mussel. I’m not a fan of mussels, so I went for their other dishes instead. 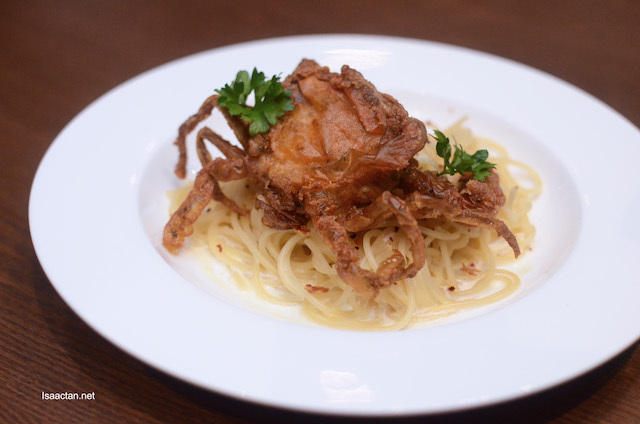 Ever tried a spaghetti dish with one complete piece of soft shell crab on top? 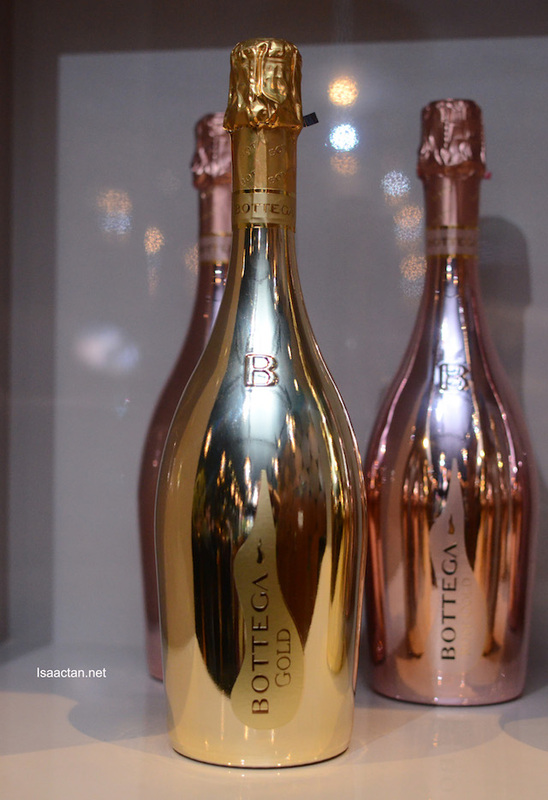 Here’s something you don’t usually get, unless you’re dining over at some up-scale restaurant. One full sized whole soft shell crab please, indulge me! Not bad at all, I really liked this dish, even though I’m pretty impartial to pasta dishes. MANDALA’s grilled chicken and buttermilk sauce came heavily doused in the sauces. 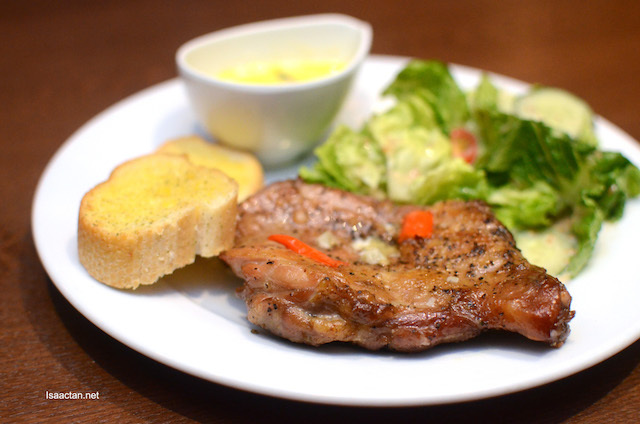 I like the fact the chicken thigh is boneless and was really soft and tender. Not bad, but remember to have it when it’s just being served hot, and not chat and wait till it gets cold before biting in! You could dip the chicken in the accompanying buttermilk sauce for more flavour, not that we needed more flavour for this dish. 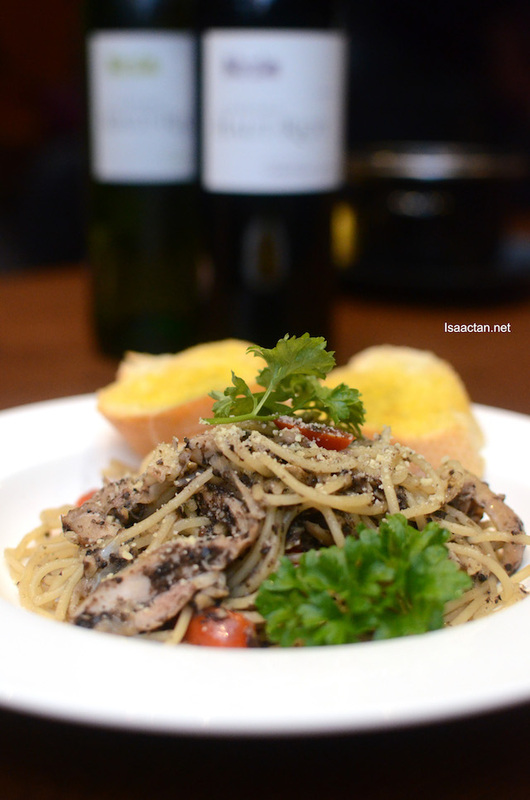 Up next we tried their black angel pasta with grilled chicken. It was an interesting mix of fresh herbs, garlic sauce, shiitake mushrooms and grilled chicken all in one dish. Not bad at all. Ah, pizza is always a good go-to offering when in need. 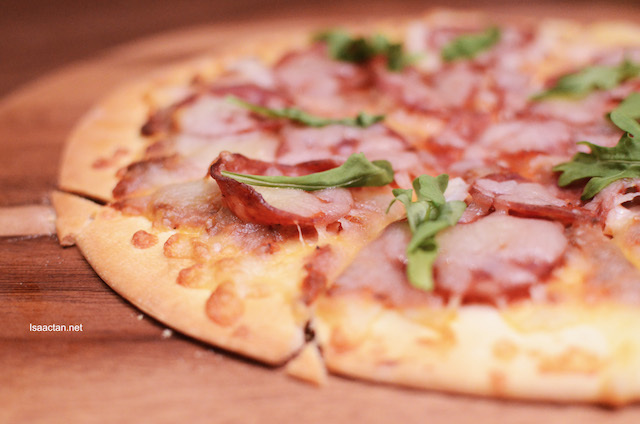 Who doesn’t love a good platter of Pepperoni Pizza, with loads of cheese , served on a thin crust and lots of pepperoni meat! 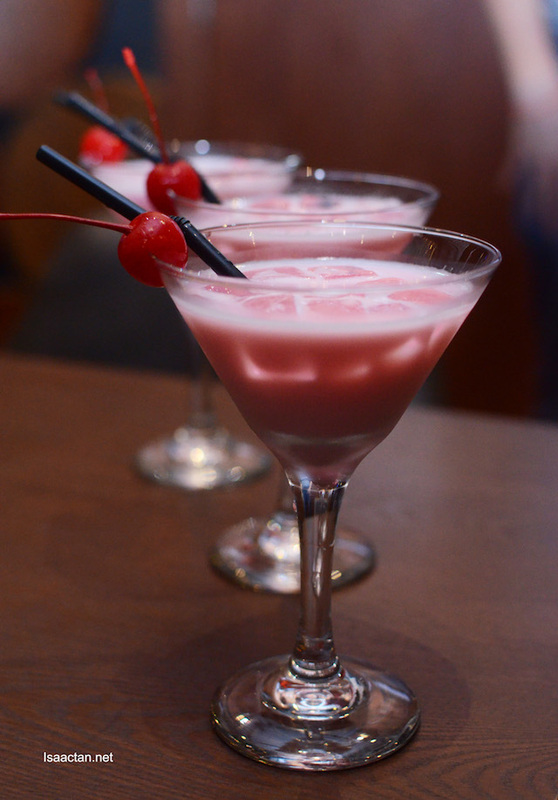 Down it all with Mandala’s selection of great cocktails and drinks, or you could pair it with your favourite wine. 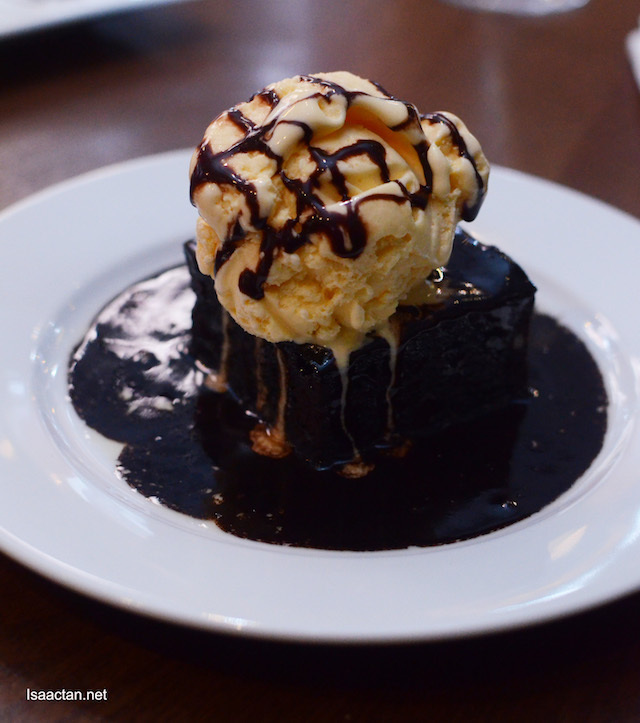 There’s always space for dessert, where we ended our rather lavish meal at MANDALA Cafe & Bar Publika with their Chocolate Lava Cake with ice cream and chocolate brownies. 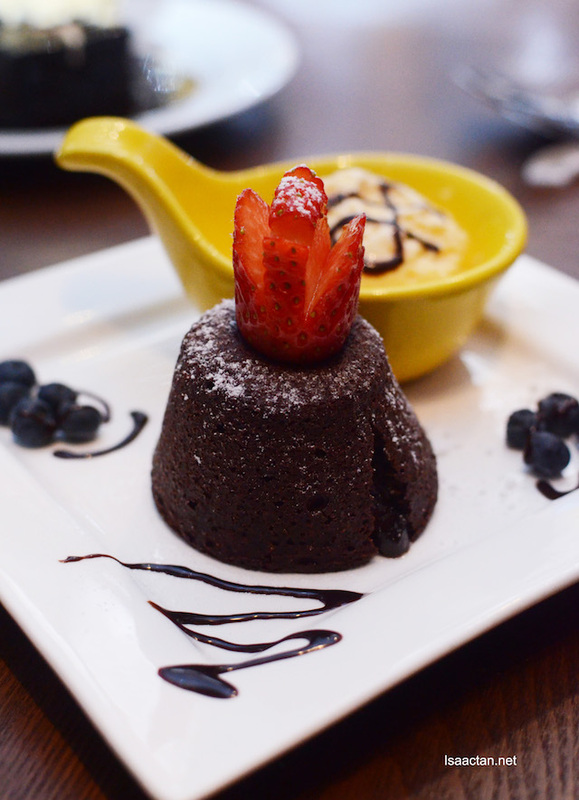 Lovely sweet endings! If you’re planning to try out the dishes here, do check out their current January 2018 promotion which I shall take the liberty to spell it out for you all below. 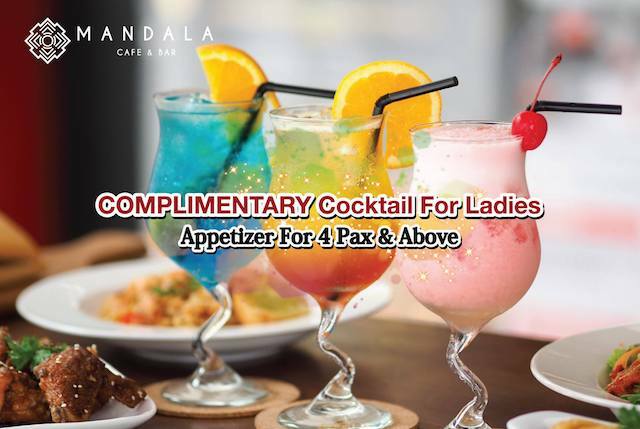 - Ladies have to 'LIKE' MANDALA's Facebook Page, check-in during the visit and showed to their staffs to get the complimentary cocktail. 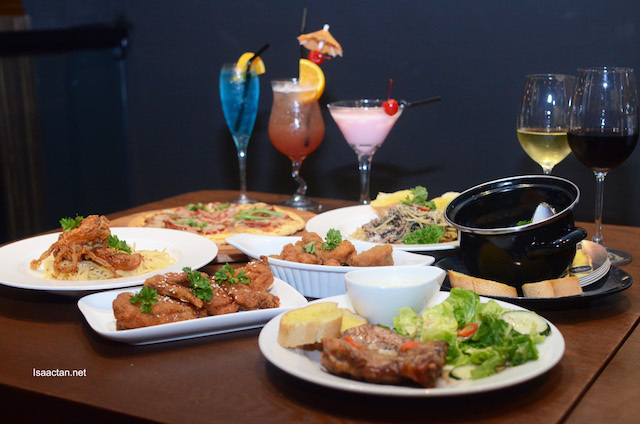 Free appetiser when dining in with 4 pax or more. You know you want these appetizers, yes? 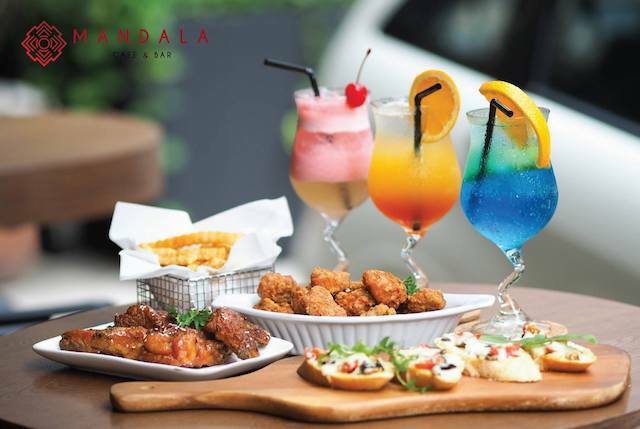 - When 4 pax and above dining in Mandala, all guests have to 'LIKE' MANDALA Facebook Page and show to the staff to enjoy a plate of complimentary appetizer of the day. I like how everything looks very neat and clean.